Kylie Jenner and her rapper boyfriend, Travis Scott, welcomed their first child together on Thursday, Feb. 1, 2018, TMZ reported on Sunday, Feb. 4. The Keeping Up With the Kardashians star, who gave birth to her daughter at Cedars-Sinai hospital in Los Angeles, took to Instagram Sunday afternoon to announce the happy news. "I'm sorry for keeping you in the dark through all the assumptions," the new mom, who was notoriously private throughout her pregnancy, wrote to her fans. "I understand you're used to me bringing you along on all my journeys." Jenner continued, "My pregnancy was one I chose not to do in front of the world. I knew for myself I needed to prepare for this role of a lifetime in the most positive, stress free, and healthy way I knew how. There was no gotcha moment, no big paid reveal I had planned. I knew my baby would feel every stress and every emotion so I chose to do it this way for my little life and our happiness." 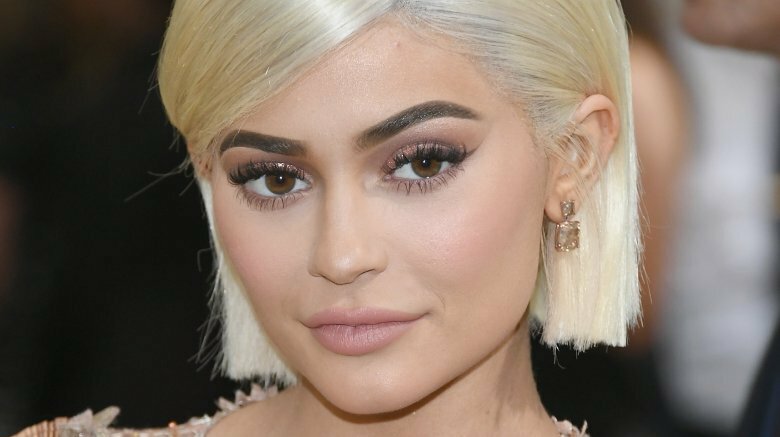 "Pregnancy has been the most beautiful, empowering, and life changing experience I've had in my entire life and I'm actually going to miss it," the Life of Kylie star gushed. "I appreciate my friends and especially my family for helping me make this special moment as private as we could." "My beautiful and healthy baby girl arrived February 1st and I just couldn't wait to share this blessing," Jenner concluded her message. "I've never felt love and happiness like this I could burst! Thank you for understanding." As Nicki Swift previously reported, news that Jenner, 20, was expecting a baby girl with Scott, 25, first broke in September 2017. However, the cute pair have kept a low profile ever since. While neither confirmed the pregnancy publicly, Jenner may have given fans a peek at her baby bump late last month while visiting a construction site in California's Hidden Hills. As a source recently told E! News, the makeup mogul felt fully prepared for motherhood, but was a little nervous about giving birth. But luckily, her older sisters helped "calm her fears" and let "her know what to expect."